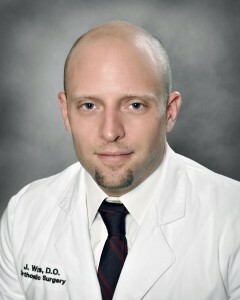 Dr. Watts was born and raised in Northeast Ohio. He received his Bachelor of Science degree from Youngstown State University, and his Doctorate of Osteopathic Medicine from the Lake Erie College of Osteopathic Medicine. He then completed a residency in Orthopedic Surgery at St. Joseph Health Center, and a fellowship in Spine Surgery at the Texas Back Institute. He has recently joined the iSpine institute where he will specialize in all disorders of the neck and back. Call 574-214-7504 to schedule an appointment.